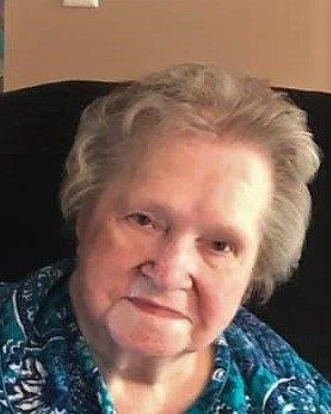 Elanora Kamyszek, (Rozmyslowicz) passed away peacefully surrounded by her loving family on April 1, 2019 at the age of 95. She was born April 20, 1923 in Posen, Michigan. She was preceded in death by her husband Edmund, son Lester, four brothers and six sisters. Loving Mother of Angie (Ron) Meredith, Edmund (Zeny), Judy (Ralph) Frontera, Connie (Steve) Watson, Joan (Bob) Burns, Colleen (Winn) Moore, Brian (Amy). Cherished "Grandma K" to fourteen grandchildren and eleven great-grandchildren. Visitation Tuesday, April 9, 2019 from 3pm-9pm, Rosary 7pm at Bagnasco-Calcaterra Funeral Home, 13650 East 15 Mile Road, Sterling Heights, MI 48312. Funeral Mass at St. Paul of Tarsus Wednesday, April 10, 2019 instate 9:30am until time of Mass at 10am, 41300 Romeo Plank Road, Clinton Twp, MI 48038. In lieu of flowers, donations may be made to St. Jude Children’s Research Hospital.